The first Pokémon Center store in Japan opened its doors 20 years ago, and, in continuing to celebrate the occasion, The Pokémon Company has announced that it will release plush for all 21 Starter Pokémon. Whether that be Bulbasaur, Charmander, Squirtle, Chikorita, Cyndaquil, Totodoile, Treecko, Torchic, Mudkip, Turtwig, Chimchar, Piplup, Snivy, Tepig, Oshawott, Chespin, Fennekin, Froakie, Rowlet, Litten or Popplio, these will become available in stores next weekend, on Saturday 25th August. 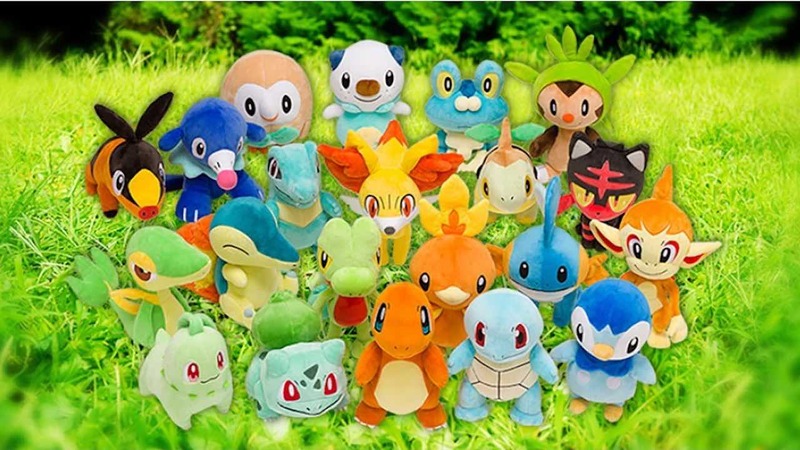 These standard-sized plushies will be priced at 1,620 yen including tax (£11.50), and, while they will be sold in Pokémon Center stores, those interested in importing can pre-order them all on Sunyshore Pokemart with some to be made available on Amazon Japan.